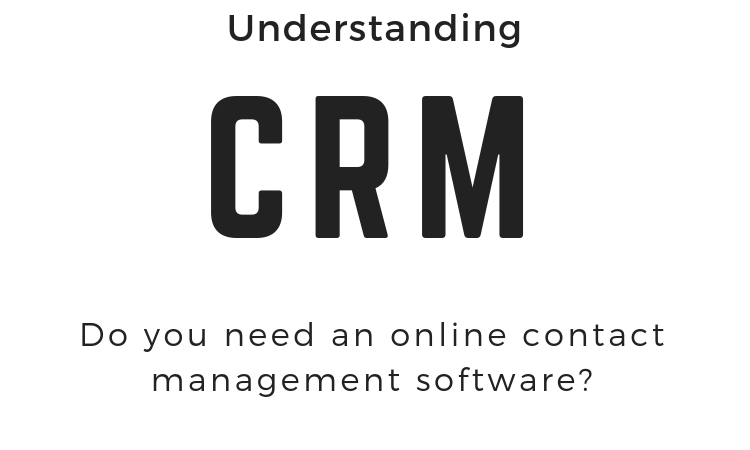 Do you need an online contact management software? As your business grows beyond a handful of clients, you won’t be able to effectively keep track of your customers via spreadsheets, Word docs, and sticky notes. So, regardless of your industry or the services you offer, if your business has customers, you definitely need to have an online contact management software solution! Contact management software, also commonly referred to as client relationship management software (or CRM for short), is the perfect solution for your business. Not only does it hold all of your customer contact data such as phone numbers, emails, addresses, and billing information, but it can also be used to track and record other details such as phone calls, emails, and notes from in-person meetings. Basically, any time you interact with a customer or capture a new lead, you can update their profile and maintain a 360-degree view of their history with your business. Most contact management software solutions come with a complete suite of apps that enable you to send out marketing campaigns based on preset triggers or customer actions. This gives you the opportunity to deliver the right message at the right time without much effort on your part. Your sales team can look at customer activity across the board and identify new business opportunities or develop a better understanding of how to move specific types of customers through the sales funnel. Although each content management software solution includes its own set of internal applications, what they all have in common is the ability to help you move your business forward in an organized manner. Even the smartest minds can’t keep track of so many factors, making contact management software an ideal addition to any business’ operation. So, the real question you should be asking yourself is not if you need a contact management system but if your business can flourish without one. You’ll inevitably come to the conclusion that a CRM is one of the best investments you can make.